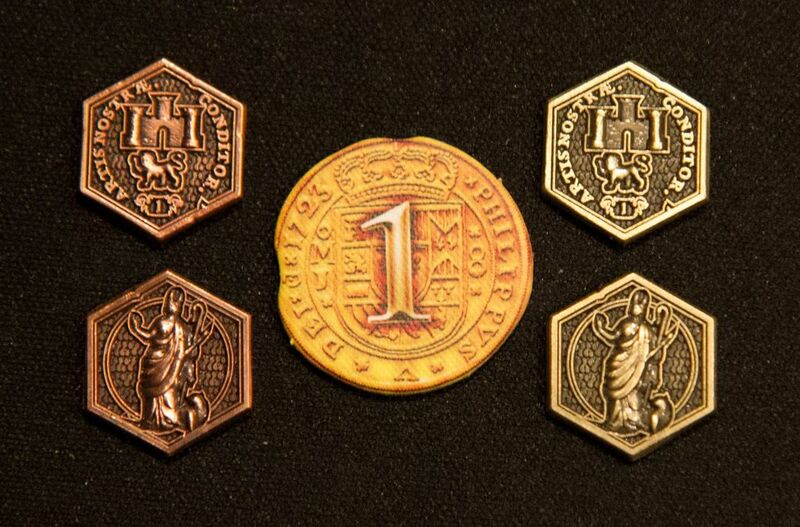 The coins look great and they feel great as well. Pros & Cons time! 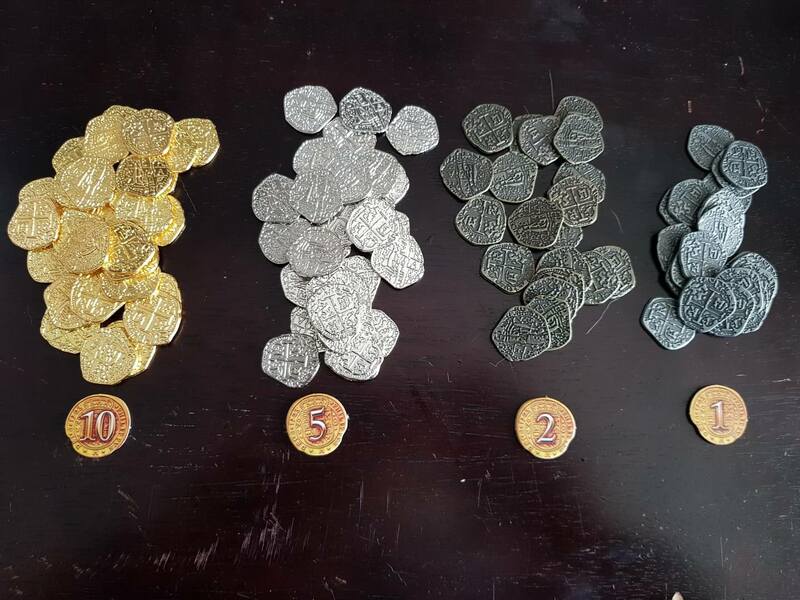 -The coins can be a little tricky to tell apart from each other at a glance. 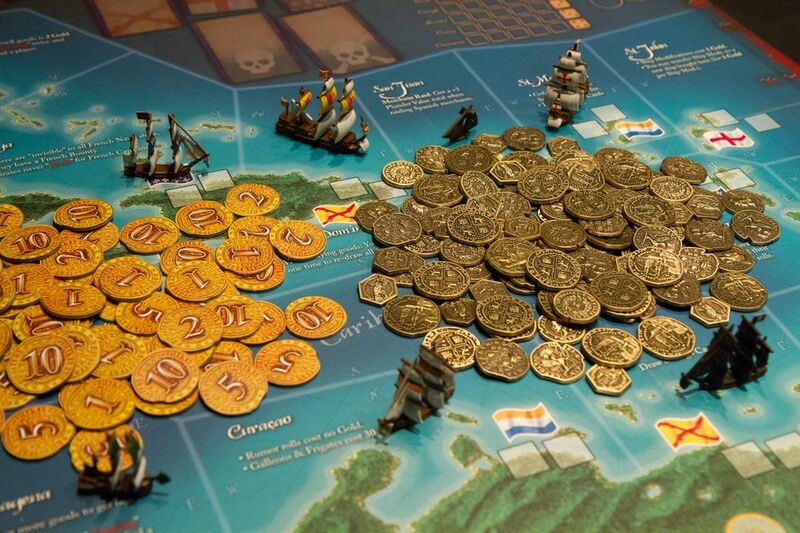 Normally this might be a small problem, but in this game, it actually helps to have similar looking coins in order to keep your opponents from knowing how much booty you've got on board. which are also suitably piratey. These are definitely easy to tell apart, so you can decide if that's what you want or not. However, there's no 2-coin version in this set. These don't have any denominations, so you could use them however you see fit. 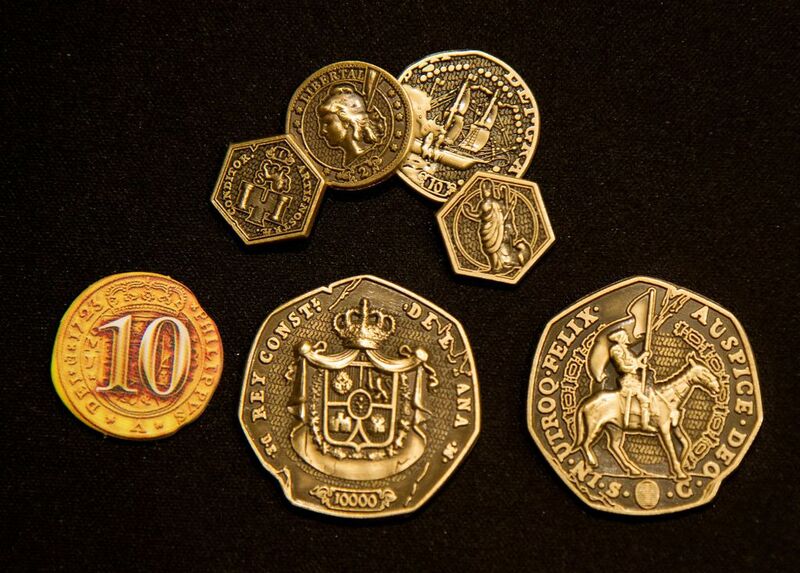 Once again, these look outstanding, and improve the visual disparity between the coins. However, I'm wondering if I'd still rather have the all-gold versions for the above-mentioned reason. 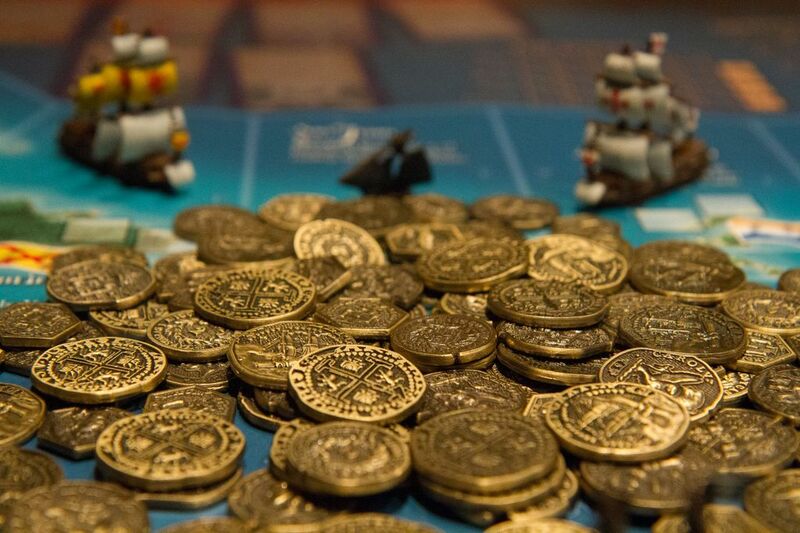 And finally, the 10,000-piece coin makes for a killer 1st Player Token, should you need one. Tops! Gallants! Royals! I want every last scrap of duck on the wind! These actually do look awesome. 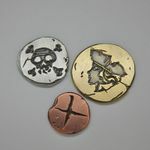 If I got to play more M&M, I'd definitely pick up some custom coins as well. That said, M&M has some of the finest looking coins already, so I'm more jealous of your paint jobs. The game looks great! I must play it. If you don't mind me asking, how much did this all cost? Did you buy these individually or in like a pack? Thanks. 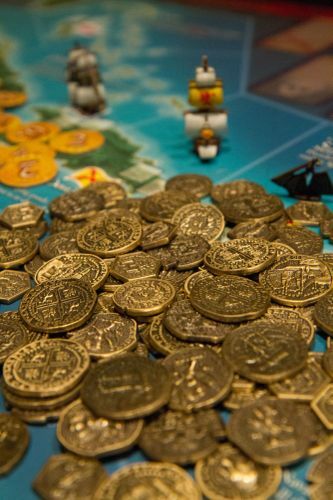 I can't answer the question on cost but welcome to the best board game site on the internet!